We couldn’t be more grateful for the entire team at Weddings by Aimée. Our day was beautiful. The decor was exceptional and the evidence is in the details. There are no words, and many of our friends have said it was the best wedding they’ve been to. First off, let’s just say— Aimee, Sarah & Sonja were awesome. Aimee is a rock star! Collaborating with Aimee for our Marriage Equality Weekend in Carmel-by-the-Sea was one of the best decisions we’ve ever made! She is truly an amazing event planner and coordinator. My husband and I hosted a weekend long celebration of love and matrimony with our family and friends and we could not have done it without Aimee. We live in Southern California and our wedding weekend took place in Carmel-by-the-Sea, so Aimee really had to take control of almost all of the details. 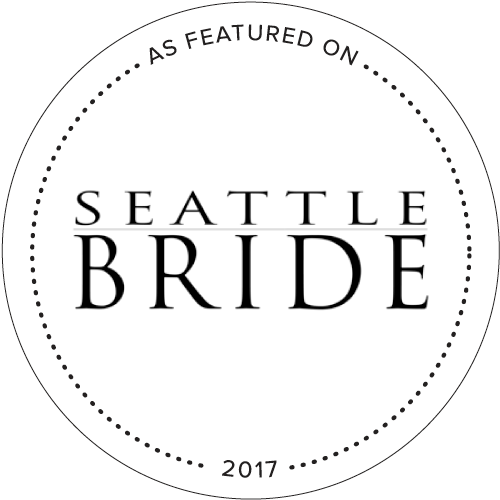 From planning and visiting the venues to hiring vendors and creating a detailed timeline, Aimee was always one step ahead of this Groomzilla! She is like the Olivia Pope of weddings. Everything gets HANDLED. With a smile and absolute grace. Aimée and Sarah were angels sent for our wedding perfection. Our guests raved about how “cute” and “sweet” they were. These ladies were physically exhausted by the end of the night and still smiling and most concerned about our happiness over anything else. They created and forced moments for us to have a chance to breathe and take it all in. And all of our other vendors were so pleased to have them as well. My husband and I met Aimee at a venue we checked out in Capitola and fell in love with her straightaway. There are not enough words (or stars) to reflect my affinity for Aimee and working with her, team and vendors. Over the 10 month Wedding planning process I truly found someone that I will call a friend for life. Aimee is THE BEST there is. I literally discovered Aimee on Yelp [lucky me]. Just based on her previous reviews, I reached out to set up a face-to-face meeting. From the moment we met, I had a wonderful feeling about her...she has a huge warm smile that will make you feel like you’ve always known her. Aimee spent a nice bit of time getting to know us each (as a couple and individuals) and what we wanted for our Wedding Day. From that meeting, it made sense that she is the one I wanted to have by my side during this experience. Aimee reflects a true and genuine feeling of care and comfort. She has a go-getter attitude and is able to handle anything you throw her way; and is able to do it with the utmost gentleness, care and her awesome smile! I am a Type-A personality who likes to think I can handle all the details, but I assure you — to have someone like Aimee by your side during this time is unequivocally the BEST decision you will make during the Wedding planning process. She is able to make suggestions on design and vendors (she has the best ones in her back pocket); which will make the experience more enjoyable for you and your Fiance. My daughter was married last Saturday after 6 months of planning with Aimee and her amazing teams. The wedding was stunningly beautiful, very personal, and I was able to just relax and know that Aimee had everything in control. Her many suggestions turned out to become some of the most memorable and touching moments in the day for our daughter, her new husband, and the many guests who came. Aimee took care of all the vendor recommendations and contracts, and every one she used was top notch. I’ve worked with many wedding planners, but by far Aimee is the best. Sometimes it’s hard to communicate with wedding planners being that we are usual far apart, but Aimee was fabulous, professional and exceeded my expectations! She puts the bride as first priority, but also takes care of vendors like me! She was all around great!